Anxiety and stress can result from a number of different sources. Stress can be caused by a lack of personal time, a demanding job, troubles with family members, unhealthy relationships, and life transitions. If not properly managed and allowed to build up, stress can easily lead to anxiety. Anxiety is a feeling of intense worry that is prolonged and can result in symptoms such as insomnia, ruminating, increased heart rate, muscle aches, headaches, and a slew of other symptoms. Stress and anxiety that is not controlled can also contribute to much more serious conditions such as heart disease, stroke, a compromised immune system, and depression. Relaxation and stress-management techniques have become very popular in the United States in the past decade as doctors and researchers have realized what a detrimental effect stress can have on our bodies and well-being. Techniques such as meditation, yoga, stretching, massage, mindfulness, and taking more time to take care of oneself can often be effective methods of treatment to lower stress. For those who are experiencing acute stress or anxiety that they cannot manage on their own may often find it beneficial to meet with a therapist or counselor who can help them identify the underlying causes of their stress and to find coping techniques. Symptoms of anxiety and stress are different depending on the individual experiencing them. This can often make it difficult to pinpoint the condition and effectively treat it. In some, symptoms of anxiety and stress are fear, avoidance of social situations, and an inability to sleep. In others, anxiety and stress can manifest in depression, a lack of interest in regular activities, and racing thoughts. Knowing what stress and anxiety look like for you is critical to treating it. 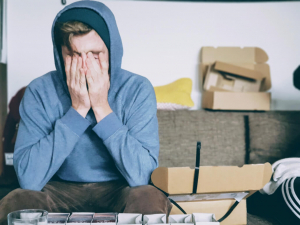 You must find out what causes you stress and the red flags that you are experiencing too much stress that could be taking a toll on your health. If you feel frequent mood swings or that something is just ‘off’, this could be a warning sign. In others, problems don’t actually present themselves until the individual has a nervous breakdown, panic attack, or develops a disease or chronic health condition. The symptoms of a panic attack, which is one symptom of anxiety, seem quite similar to the symptoms in a person that is having heart problems. For that reason, it pays to become familiar with the nature of panic attacks. The victim of a heart attack should not be mistaken for someone who has a tendency to panic. Other conditions that cause similar symptoms are obsessive-compulsive disorder, post-traumatic stress disorder, borderline personality disorder, depression, exhaustion, dehydration, and conditions like epilepsy and fibromyalgia. How Medical Marijuana Helps Treat Anxiety/Stress? Development of anxiety and stress is often brought on by a hectic lifestyle and a lack of self-care. The use of medical marijuana can help a sufferer relax and take time to him or herself. In can be beneficial in getting a good night’s sleep and can also be used in meditative practices to enhance relaxation. In addition, medical marijuana triggers the release of dopamine and serotonin, the body’s natural ‘feel good’ chemicals that help calm the body and fight stress and anxiety. There is also proof that medical marijuana can bind to certain endocannabinoid receptors in the brain, which is also an effective treatment for anxiety. 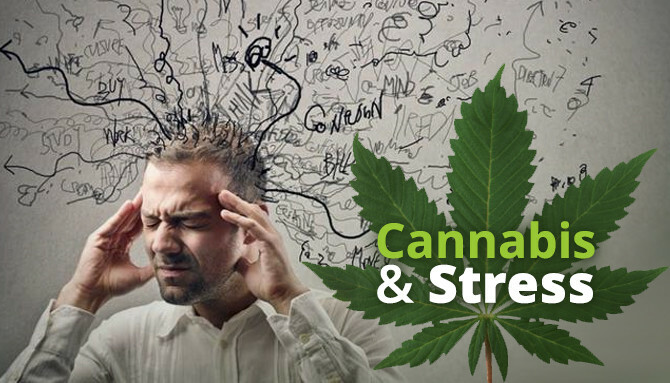 Why Medical Marijuana Treats Anxiety/Stress is Better Than Alternative Treatments? Many people do not realize they need to treat their anxiety or stress until they experience a breakdown or a health crisis. Medical marijuana is effective in preventing these unwanted incidents and can be used in those who are not ready to see a therapist or explore the ideas of prescription medications to help them handle their anxiety. Of the medications that can help a patient to deal with anxiety/stress, few are without side effects. The can include insomnia, sexual problems, heart palpitations, and gastrointestinal distress. Many people find effective relief by seeing a therapist or performing relaxation techniques. Medical marijuana can be used in conjunction with these treatments to provide even more stress-relieving benefits. How to Get Medical Marijuana to Treat Anxiety/Stress? If you suffer from anxiety or stress, you need to have a medical record of your diagnosis and ensuing treatments. This can come from your specialist, therapist, or general practitioner. You then need to make an appointment with a medical marijuana doctor who has been licensed in your state of residence. Currently, there are 25 states that have legalized medical marijuana, including California. Finding a medical marijuana doctor in your state is the first step in being approved to buy and use medical marijuana in your treatment program. You can schedule an appointment with your California marijuana doctor either in person or online. The doctor will meet with you or schedule a call with you to go over your symptoms, your medical history, and your prior treatment plans. He or she will then determine if using medical marijuana in your anxiety or stress treatment plan would be beneficial. If approved, he or she will issue a written recommendation that you can then use to apply for your state-issued ID card. Along with your recommendation, you will also need to have proof of residence in the form of a mortgage or rental statement or lease. You will then fill out the necessary forms and pay the ensuing fees to apply for your medical marijuana card. If you have worked with a doctor online, this process can be done in a matter of minutes and your MM card will be in the mail the same day. Once you receive your medical marijuana card, it is good for one year and you can use it to buy medical marijuana at any approved dispensary in the state. You may also use it to grow marijuana in your own home for personal medical use. If you are interested in getting your medical marijuana ID card to treat your stress and anxiety, go to our Cannabis FAQ for more information and to schedule your appointment.